When we think of the Savanna Biome, it is understandable that we think of hot and dry areas. However, it may surprise you to learn that there is a very wet season and then a very dry season in the Savanna. They are found in the lower latitudes. This particular biome falls in between a grassland and a forest region. They often border the rainforests and can overlap with other types of biomes. Plants Pine trees, palm trees, shrubs. Animals Lions, leopards, deer, crocodiles, vultures, cheetahs, kangaroos. Location Africa, Australia, India and South America. There are many areas out there where you will find the savanna biomes. They include Africa, Australia, Madagascar, India, South America, and the Southeast part of Asia. Sometimes the animals and plants living in the savanna biome are on the brink of death before they rainy season begins. They may not be able to make it any longer without water when suddenly it begins to pour from the sky. 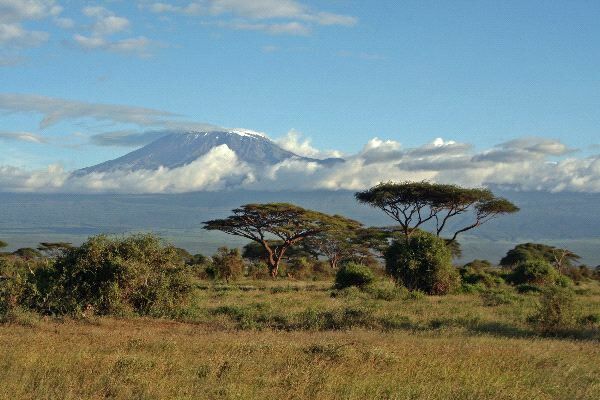 The largest place where you will find the savanna biome is in Africa. In fact, 46% of the land there fits this particular profile. That is why it is very hard for them to sustain growing their own food in many locations. You often see that this is an underdeveloped country, and a big part of it is that the land they have to work with is very difficult for such survival. There are only a few scattered trees found in the savanna biome. There is both a dry and a rainy season that occur in the savannah biome. These each last for extended periods of time. As a result the supply of food can be very high at some times of the year. Then they are very low at others. The plants and animals living in the savanna biome have had to adapt to such issues. Many of the animals have to migrate around the biome in order to find enough food and water for survival during these changing seasons. The annual rainfall in a savanna biome is 59 inches. During the dry season the average daily temperature is 93 degrees. During the rainy season it drops to a more comfortable average of 61 degrees. Something that is very interesting in the savanna biomes is that the soil types are very diverse. Experts have found just about every type of soil in such biomes. There are many factors that will influence what the soil is in a given location. They include the climate, the terrain, and the amount of precipitation that the area receives annually. Fire is very common in the savanna biome at various times of the year. However, the plants and animals here are adaptable to it. Even in areas that get severely burned, less than 10% of the plants will die from it. The stems and the roots of these plants seem to be able to thrive due to how thick they are. Some of the plants are made from materials that is highly flammable which is why a fire can spread so rapidly in these areas. The Savanna biome may offer harsh conditions, but there are still plants and animals out there that are able to survive in them. When it comes to animals there are some very small creatures out there. There are quite a few invertebrates including beetles, grasshoppers, and termites. There are also many larger animals that are found in the savanna biome. They include lions, leopards, deer, elephants, zebra, and the kangaroo. The meat eating animals depend on there being enough herds out there eating the grass and shrubs that they can all survive. There is a huge interdependence among animals and plants in the savanna biome. The people of Africa that live in a savanna biome often try to raise cattle and goats for them to have food supplies. They rely on the grasses that grow here for those animals to be able to graze. They often lose some of their animals to various wild animals that happen to live in this biome. To help prevent that they may put out traps or even hunt those that they think will cause trouble in a particular habitat location. Wild grass is the biggest type of plant life that grows in the savanna biome. It is also one of the most important. It provides food for plenty of types of animals. Without it, they would starve. That would in turn make it very hard for larger meat eating animals to survive. That is because they hunt down those wild grass eating animals. There are various types of trees that will grow in particular areas of a savanna biome. They include pine trees, palm trees, and acacia trees. They can grow in clumps and that offers some shade to the various animals that live in this type of environment. You may not be aware of the fact that out of all the biomes in the world, the savanna has something unique. Here you will find the most diverse population of herbivores and large mammals. As you can see from the various examples here, without one the other would not be able to continue to survive here. Due to the rainy and dry season of the savanna biome, that is what controls the structure there. Scientists worry that is global warming continues as it has been that will be a huge problem for what lives in this particular biome. The animals and plants would not be able to survive with more heat and less rain. Some of them would be able to adapt but overall the diversity of such areas won’t be eliminated. Tourism seems to be a huge economic boost for many savanna biomes, especially in Africa. However, the introduction of vehicles, humans, and their pollutants to such an environment can be very hazardous to both the plants and animals that live in such areas. Many people travel here to be taken on a safari. That allows them to be up close and personally see all of the plants and animals that live here. There are also guided hunts in the savanna biome of Africa. Many of them are done illegally too such a those for lions or for elephants. However, there are experienced hunters from around the world that are after the ultimate thrill.. They want the power and the excitement of being able to hunt for something that is so exotic and over the top. However, many of these animals are very low in numbers and by hunting them it jeopardizes the future of that savanna biome. There has to be a balance there of predators and animals for them to consume. Lions are top predators and when they are being wiped out of a region there can end up being too many deer, zebra, and other grass eating animals. That is turn can result in overgrazing which makes it harder for the grasses to be replenished. It can also lead to many animals starving to death instead of the natural balance being part of what keeps the numbers regulated. 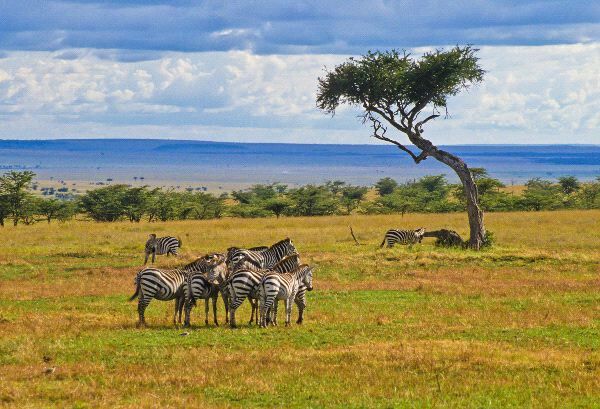 The savanna biome is very important to us even if we often see it as just a dry place that we aren’t accustomed to seeing other than in photos or on TV documentaries.